Many brokers still dial for dollars and cold call. The bottom line is we meet people, initiate conversations and some are candidates for our services. Social networks are places to be discovered, initiate conversations and move the conversation offline into the traditional sales funnel. It does not matter, whether you have been cold calling a prospect for two years met someone at a networking function or your best client referred you, at some point you are going to get "googled". Even with all these reasons, and clear benefits, the overwhelming majority of CRE brokers do not actively manage their online presence. One of the biggest reasons a web presence is neglected is that i) there is a pretty steep learning curve, unless you're already tech-savvy 2) it takes a ton of time and money curate meaningful content to build something a professional can be comfortable putting their name on. In under 5 minutes, LeaseMatrix's Broker Profile Page allows anyone to create a public profile which is sure to impress clients and prospects. What resources are included with every Basic profile? Helpful articles on a variety of leasing topics Have you ever needed to explain what a Base Year Stop is, or why Common Area Factors exist? With LeaseMatrix's broker profiles, you can display many of the same helpful posts found on the LeaseMatrix Blog on your profile. Leasing terminology glossary In addition to these helpful articles, each profile can include LeaseMatrix's own leasing glossary. This glossary includes more than 80 definitions on commercial real estate industry terminology. So, the next time a client asks what "ROFO" means, you can send them a link to your profile. Display all your listings in one place Embed a listing widget from any 3rd party website, including Loopnet, Rofo.com or Catylist. An office space calculator At your option, you can include LeaseMatrix's web-based office space calculator within your profile as a resource for your clients and prospects. Social media integration Have a personal blog or LinkedIn profile you'd like to include? Your profile page can link to all your social media accounts as well as any blogs and related company websites. Responsive, mobile-friendly design Each profile designed to be fully responsive and mobile friendly, which means it is elegant on any device, desktop, laptop, tablet or mobile phone. What's the cost for a Basic profile? Nothing, it is absolutely free. Stop and ask yourself this one important question: "What will people see when they Google my name? With a LeaseMatrix Broker Profile, you'll be sure to impress. Signup here. 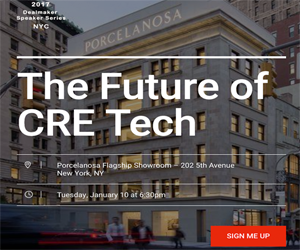 * LeaseMatrix is a sponsor of The CRE App Review.